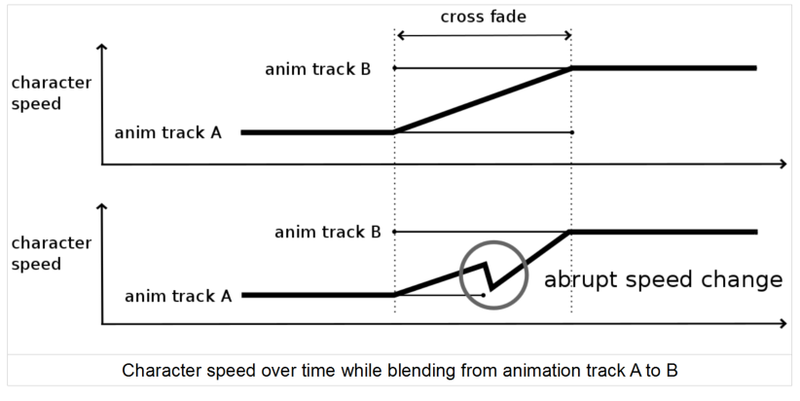 In the graph on the left, we take the speed graph of an animation coming from a certain speed and slowing down to rest. For our game’s purposes, we want to add an extra 20% of motion to the character during the animation. In one case, we choose to divide the extra motion by the amount of frames in the animation, and apply this equally on each frame. 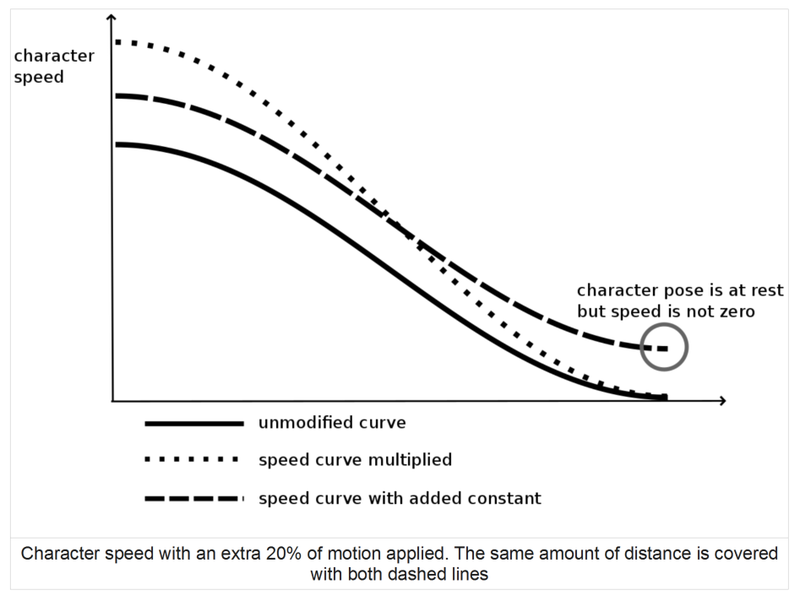 The resulting effect is that the character continues to have a non-zero velocity even near the end when we are in an idle/standing pose. In the other case, we add an extra 20% of motion by simply scaling the speed graph up by 20% throughout. The character is now moving faster in the moving portions of the animation; and he remains at rest with zero velocity when that is what is specified in the animation.